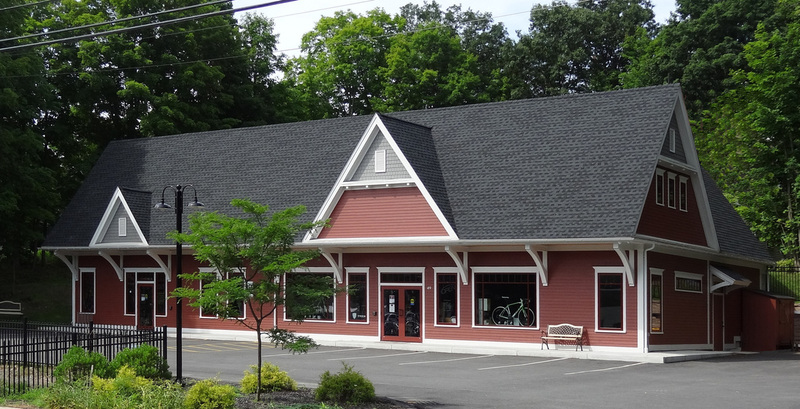 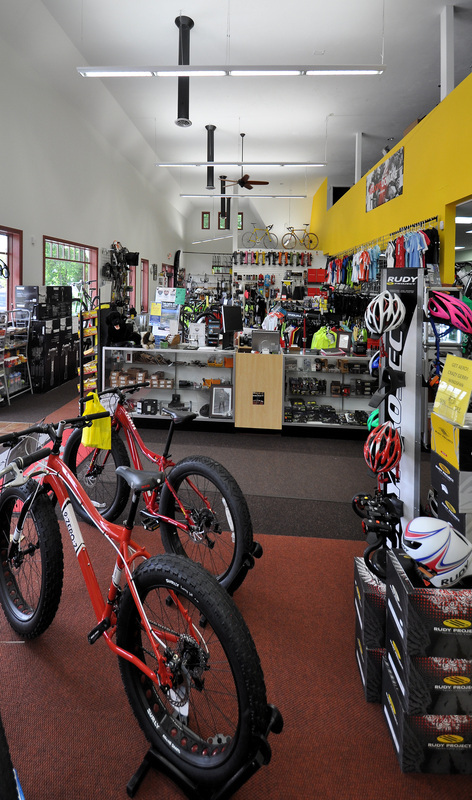 When an established bicycle store outgrew their rented space, they chose to relocate to a lot they had owned for quite a while. 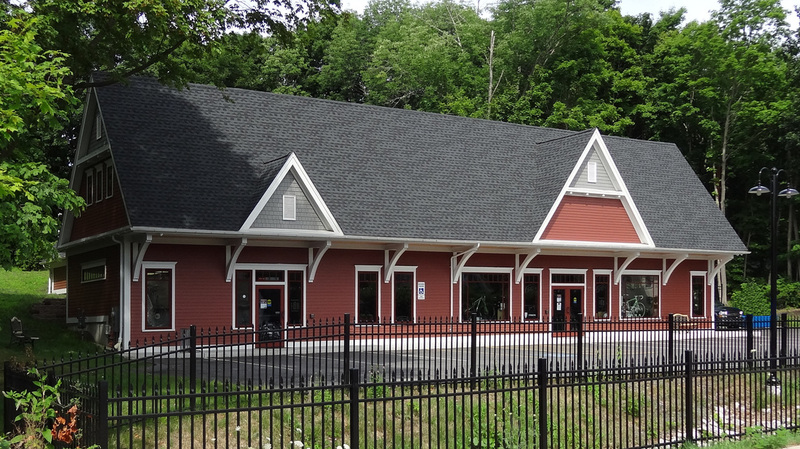 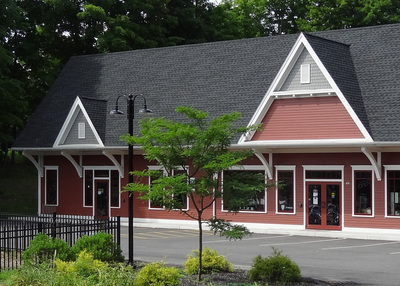 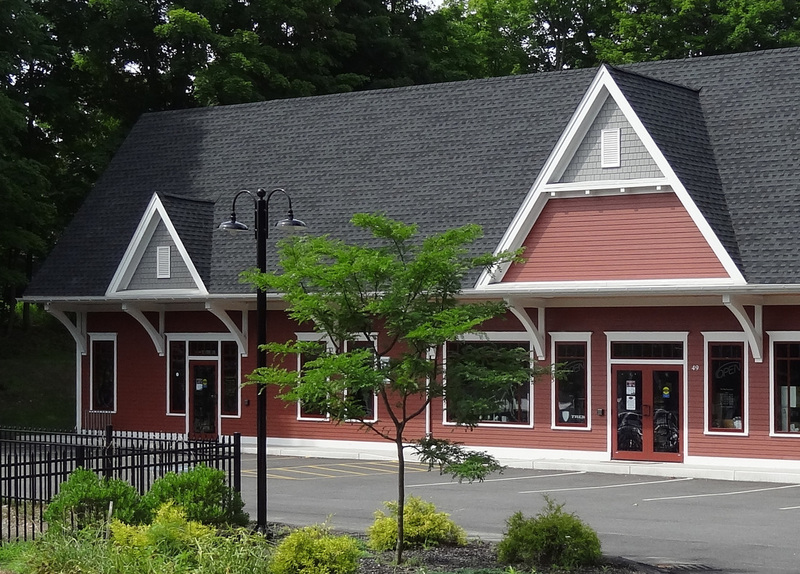 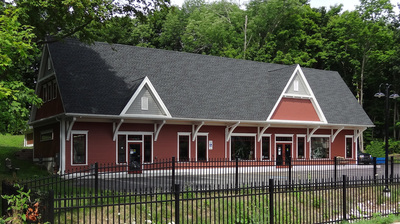 As they we named Trek Stop and the site is near existing train tracks, it was decided that the form would be evocative of the Town’s long-gone train station. 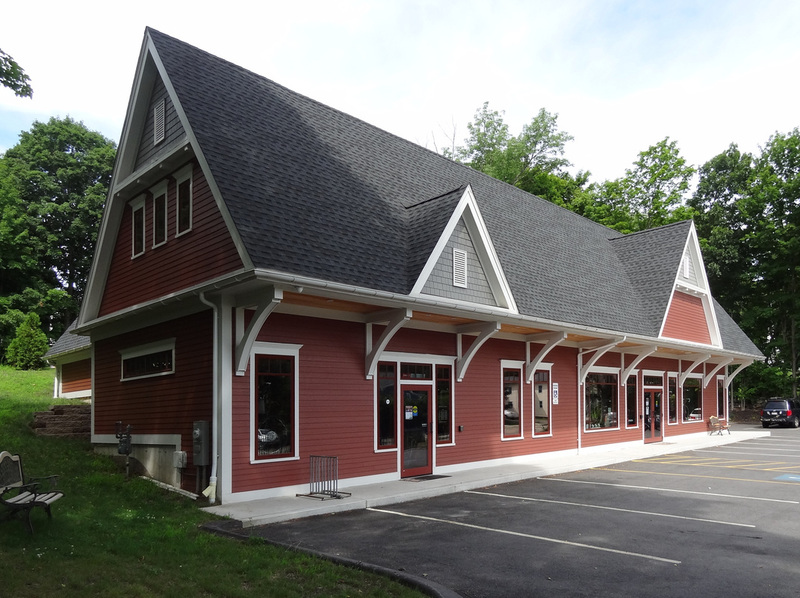 Since the lot backed up to a hill, it was decided to create a tall, open interior space with mezzanine storage to the upper rear, accessible from the upper grade at the back of the building. Although it is a complex form, the prefabricated trusses were designed and manufactured to create nearly all of the roof form and the volumed interior spaces without the need for large internal beams or intricate field-cut stick framing. The brackets on the front of the building evoke the form of a train platform overhang and provide space for bicycle display.